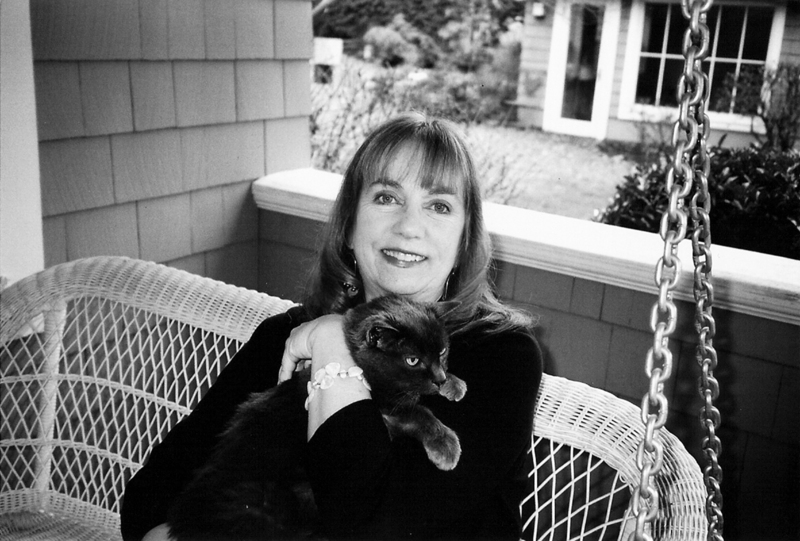 In the spirit of her acclaimed Dog Heaven and Cat Heaven, Newbery Medalist Cynthia Rylant illustrates the nativity story in her powerful folk art style. 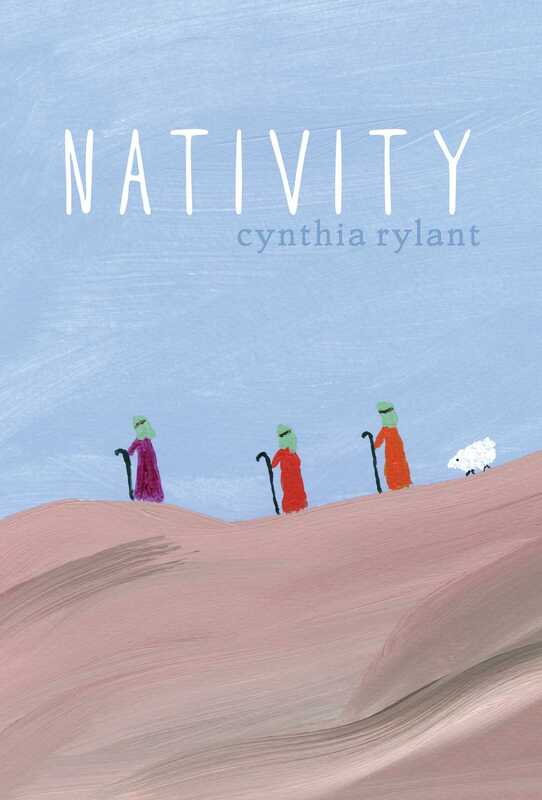 Cynthia Rylant takes the beloved text of the nativity story, as told in the King James Bible, and lovingly illustrates it in her simple but bold style that has been called “stunning” by School Library Journal. As she did with the creation story, Rylant has created a sublime take on a classic story that will appeal to readers of all ages. Newbery Medalist Rylant offers a succinct, graceful account of the birth of Jesus and some of his most famous words as an adult preaching to others. The cover shows three shepherds and one sheep, and the story actually begins on the cover flap with an extension of the cover illustration and just three words, "A child is born." The simple text is adapted from the books of Matthew and Luke from the King James Bible, retaining the traditional flavor and old-fashioned textual cadences. The angels visit the shepherds, and the shepherds visit Mary, Joseph, and Jesus in the stable, but the Wise Men are not included in this interpretation. The story shifts to Jesus as a grown man, preaching the Sermon on the Mount "before a great multitude of people." Four of the Beatitudes are recounted, concluding with a simple house decorated for Christmas and two sheep next to a snow-covered evergreen tree. Rylant's understated illustrations in her refreshing, naïve style sometimes look like finger paintings and often portray just a suggestion of words from the text. The backgrounds of the double-page spreads are in bold, deep colors, with the figures intentionally small and their faces hidden. This gentle interpretation of the birth of Jesus connected to some of his most important words has its own calm, quiet strength. Newbery Medalist Rylant offers a succinct, graceful account of the birth of Jesus and some of his most famous words as an adult preaching to others....Rylant's understated illustrations in her refreshing, naïve style sometimes look like finger paintings and often portray just a suggestion of words from the text....This gentle interpretation of the birth of Jesus connected to some of his most important words has its own calm, quiet strength. In a companion to 2016’s Creation, which drew on the book of Genesis, Rylant crafts a spare, graceful rendition of the Nativity, with text adapted from the King James Bible. Following pages that herald Jesus’s birth in Bethlehem, Rylant moves beyond the familiar Christmas story to incorporate several of Jesus’s teachings from the Sermon on the Mount, known as the beatitudes: “Blessed are the poor, for there is the kingdom of heaven,” she writes as a shrouded figure sits beside a battered brick building on a gray night. Humans and animals appear tiny and humble against the vastness of broadly brushed earth and sky in Rylant’s naif acylics. The decision to pair the Nativity story with the beatitudes is a wise and profound one, quietly helping Christian readers connect Jesus’s birth with the messages of kindness, humility, and compassion he would later preach.